Heated Dog Bed for My Most Loved Pup! Pet Magasin gave me this great product to try out with my ol' pup, Kashi. 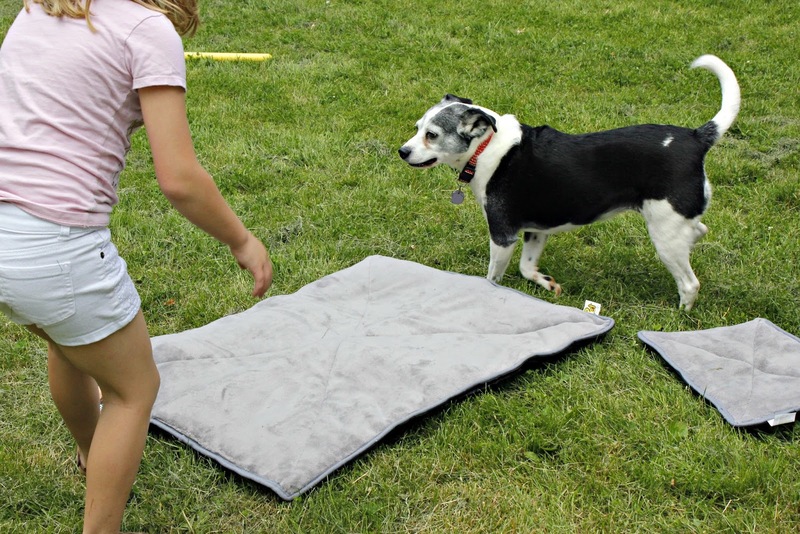 The self- heating dog bed is one of their best sellers and comes in 2 different sizes. The package that I got has two mats; 1 large (28.5" x 34.5") and 1 small (17" x 11"). 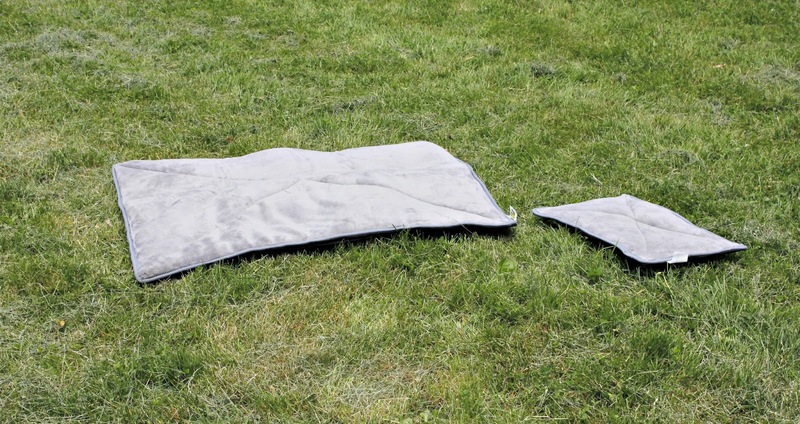 The mat is self-heated by a Mylar film which is the same material used in spacesuits that reflects your pets body heat and holds it in to insulate them from the cold floor. 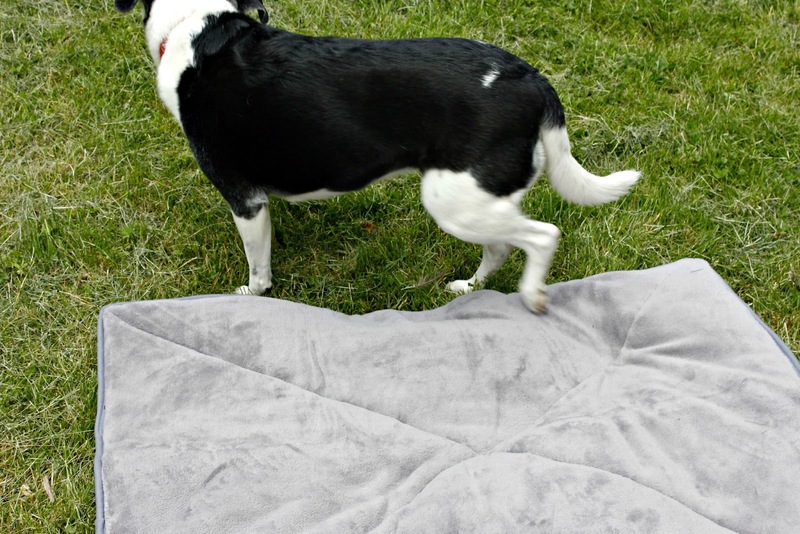 The top is a velvety material that is a durable and hypoallergenic foam. The bottom has rubber grips to keep the mat from slipping. First, I love how soft these feel. Kashi does, too! She was a bit apprehensive at first, but once she felt how soft the pad was and how warm it was, she fell in love. I do have two concerns with this product. 1) The size! Geez oh man, what a difference between the large and small. Like there is not a happy medium. If you don't have a teacup sized dog, go for the large or your pup will not fit! Also, this is less of a bed and more of a pad. We will be using it for travel to cover the seat of the car. It is very thin and not so comfortable for a goodnight sleep; especially for our older pup. I mentioned before that these beds come in two different sizes; large and small. I have the two compared above. There is a drastic difference and I am glad that I opted for the large even though my pup is a medium sized dog. Something to keep in mind when ordering. We use the small one as a little welcome mat for her cage. It seems like a nice heated dog bed.